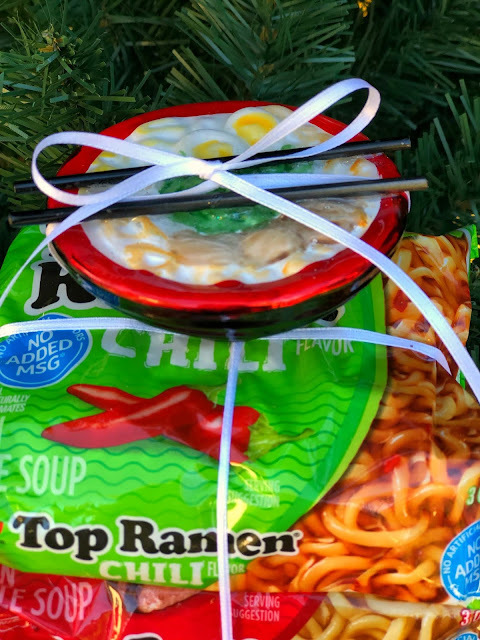 and there are so many ways to celebrate with it for the holidays. 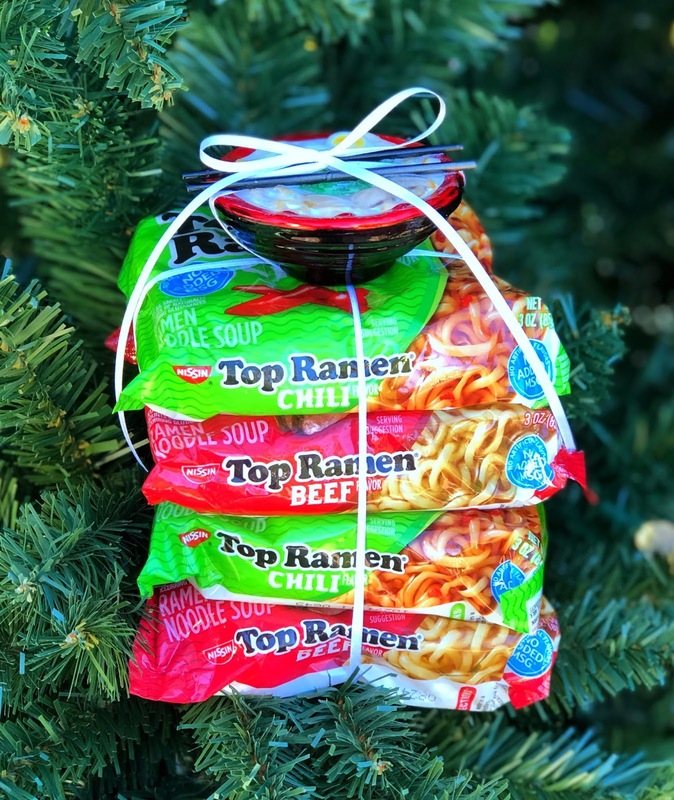 This year it will be Ramen around the Christmas Tree! 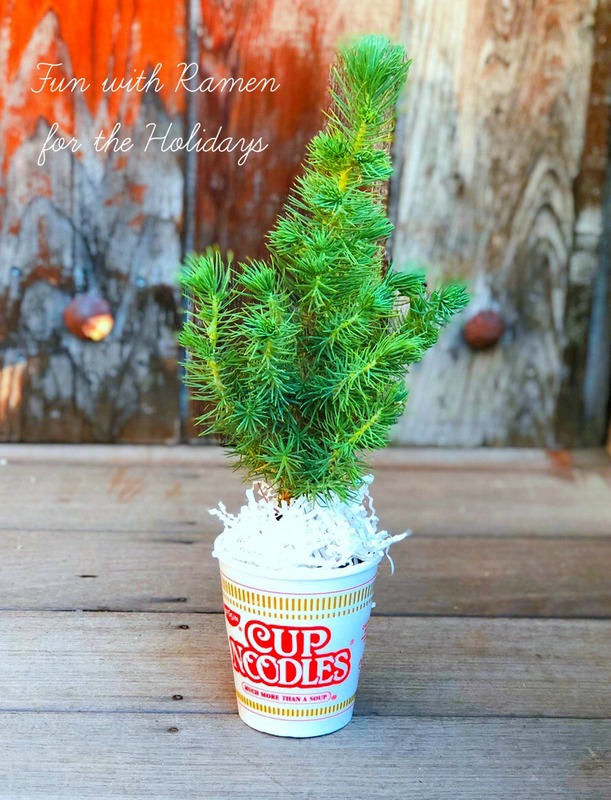 Save your Cup O' Noodles container and plant a mini evergreen inside. 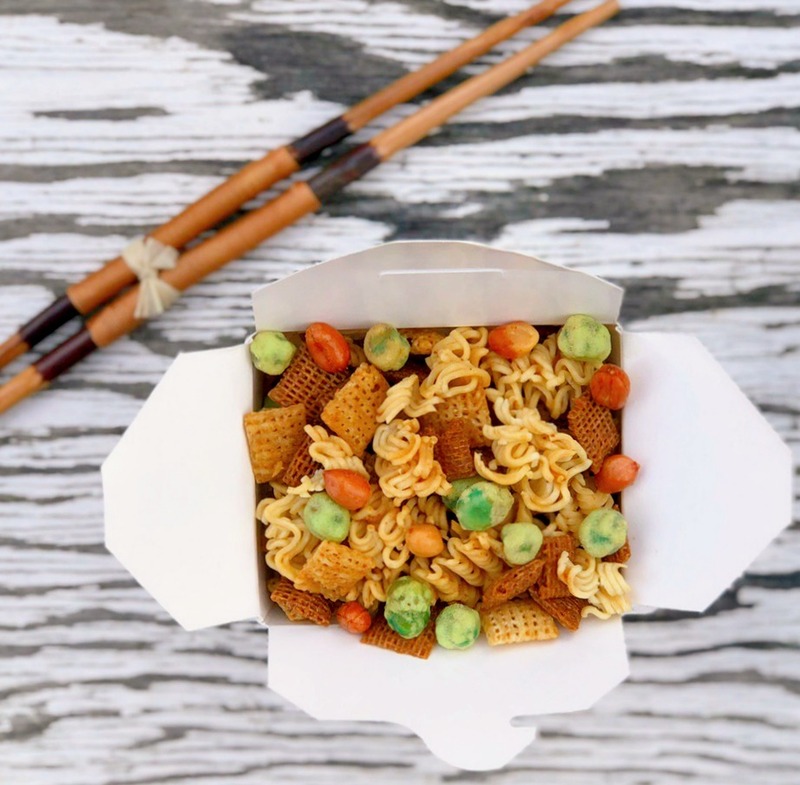 Everyone loves Chex Mix, but this version has a slight Asian flair. 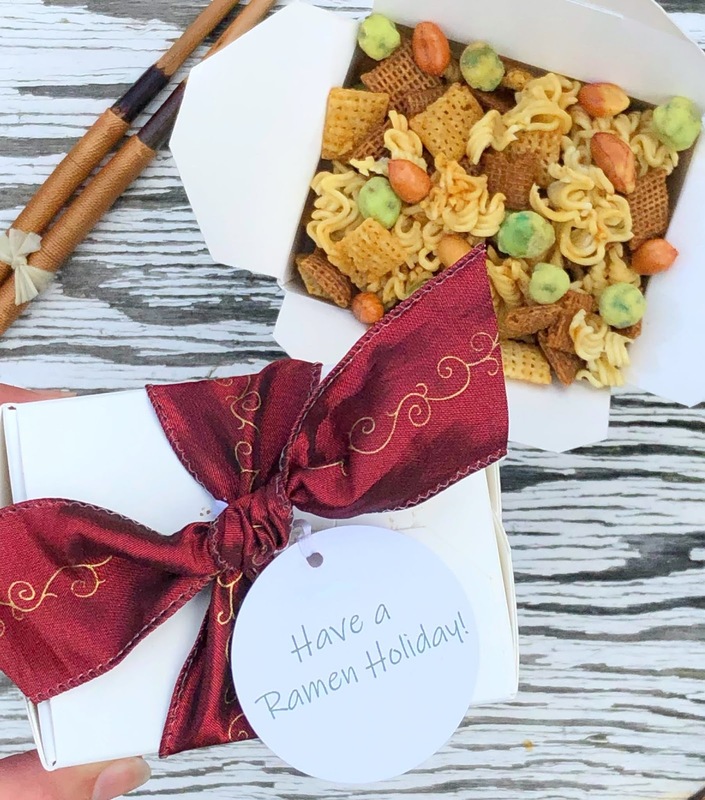 It is definitely a flavorful adventure! 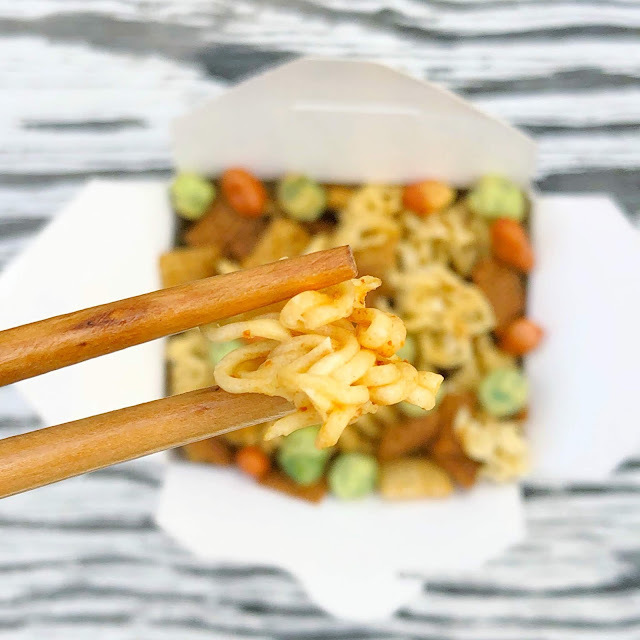 Then pour over dry ingredients and stir to coat. 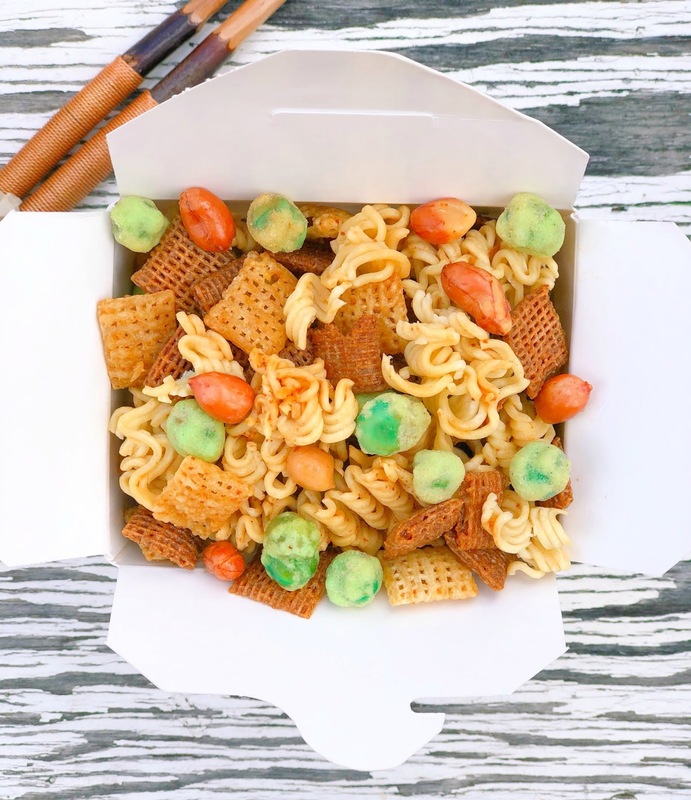 Place on parchment lined baking sheet and bake 1 hour, stirring every 15 minutes. Allow to cool before placing in airtight containers. 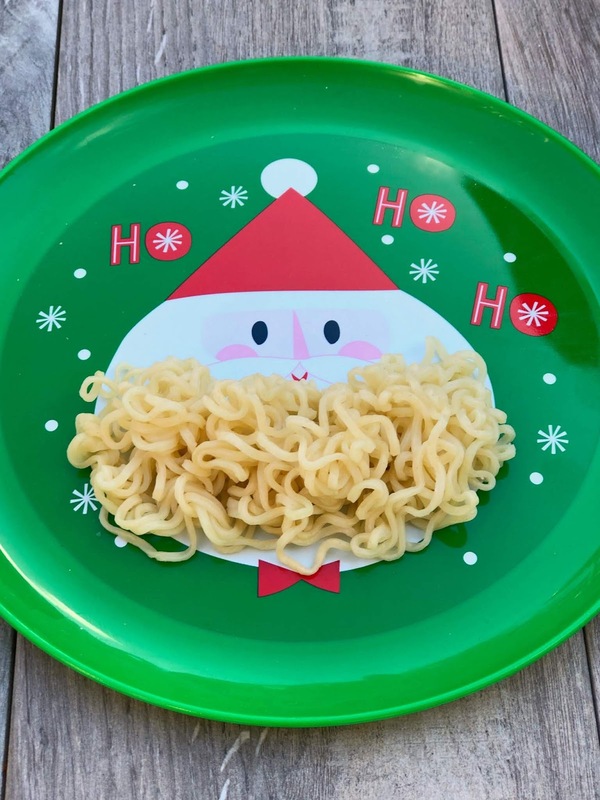 give him a delectable make over! 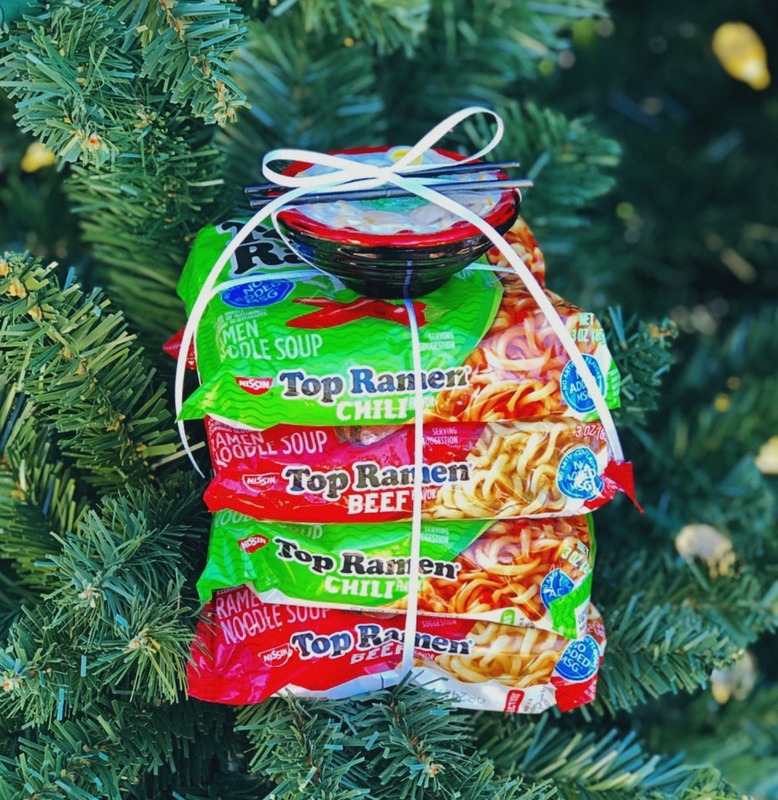 Deck the gifts with ramen and ornaments. 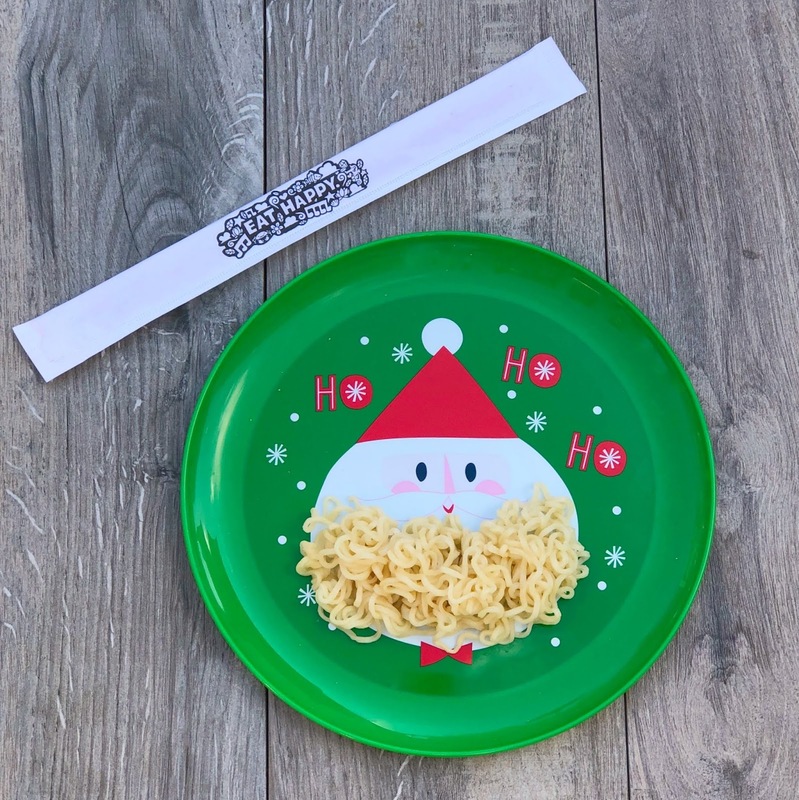 and red and green packaged noodles. My son would eat ramen daily if he could. 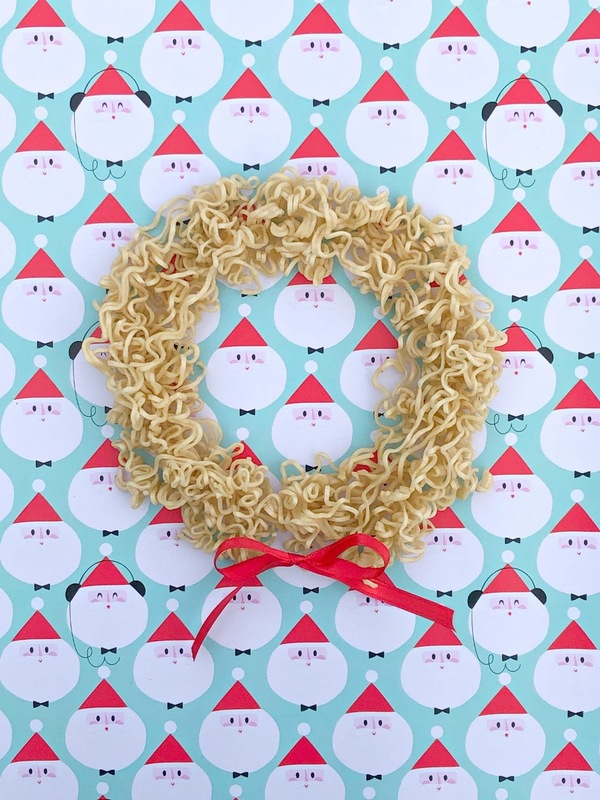 What better way to top his gifts than with a wreath of one of his favorite things? Cook plain ramen noodles in boiling water until just soft, about 2 minutes. 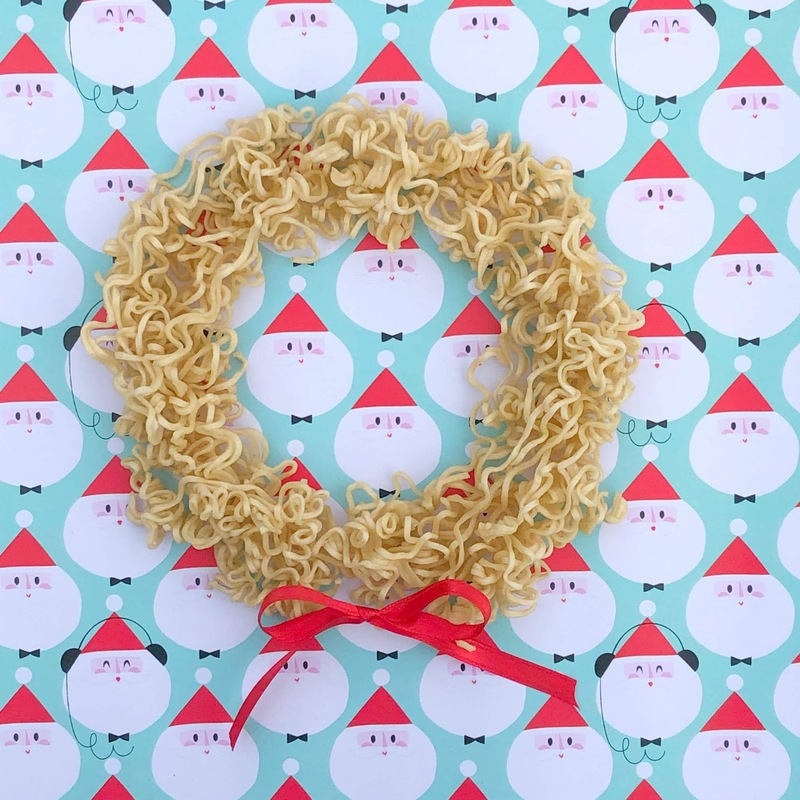 Drain and let cool on paper towels. 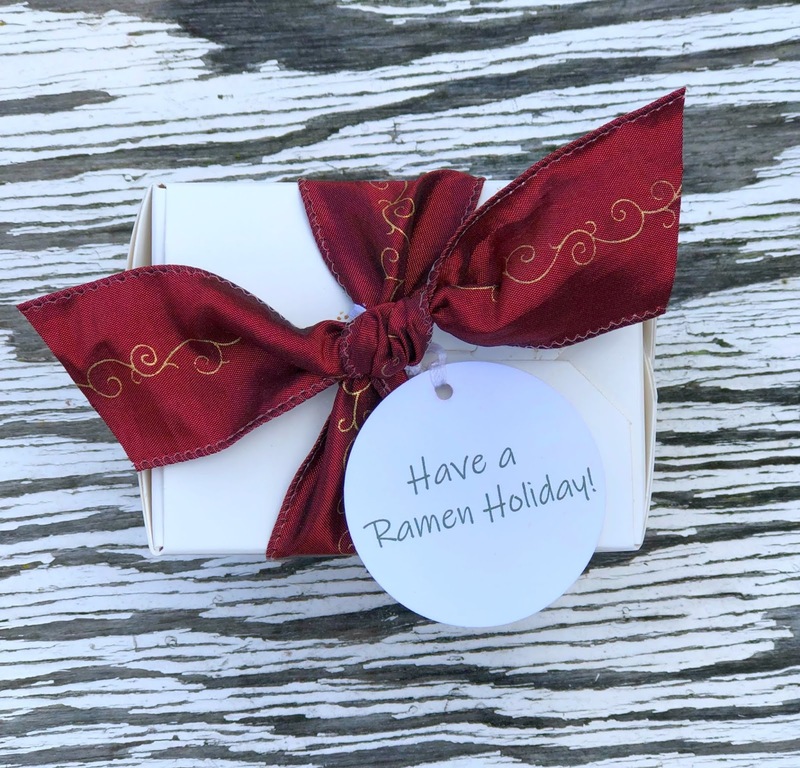 On a parchment lined baking sheet, form a wreath shape with the ramen, packing the ramen tightly together. 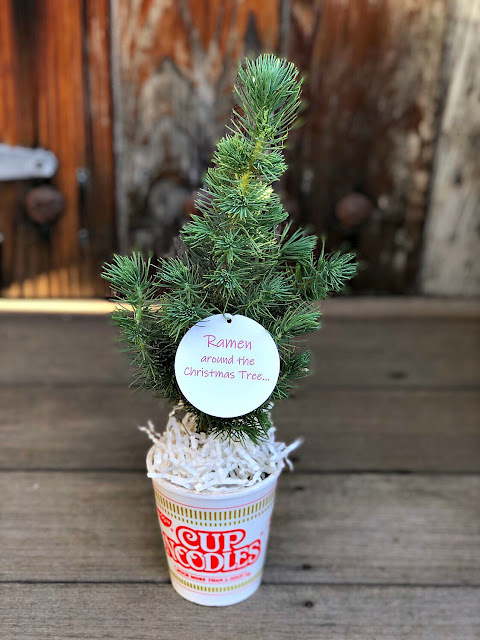 It helps to form it around a small bowl in the middle, then remove the bowl before placing in a 250 degree oven for approximately 1 hour until wreath is set. Have yourself a Merry Ramen Christmas!